WWII / Korea – U.S. Marine Corps. 1942 through 1951: Staff Sergeant (S/SGT). Robert enlisted in the U.S.M.C. the day after the attack on Pearl Harbor and was eventually assigned to Company D, 1st Battalion, 2nd Marines of the 2nd Marine Division. After enlisting, he arrived in New Zealand for training. With a smile, he said he could swear they drank all of the beer available. He was then transferred to New Guinea for additional training and was soon after assigned to a mortar team. While in New Guinea, Robert said that he saw General Douglas MacArthur in silk pajamas on the beach. He said it was quite a sight but very much expected given who McArthur was. In August 1942, the 2nd Marines (Regiment) was reinforced by other units of the 2nd Marine Division to participate in the Guadalcanal Campaign. Robert was involved in the taking of Tulagi from August 7 through 9, 1942. He also performed raids in “The Floridas”. He said that “the locals” helped them with enemy locations. He also mentioned that the Japanese would know when they were going to be attacked as all of the local villagers would start leaving in anticipation of the Marines’ arrival. 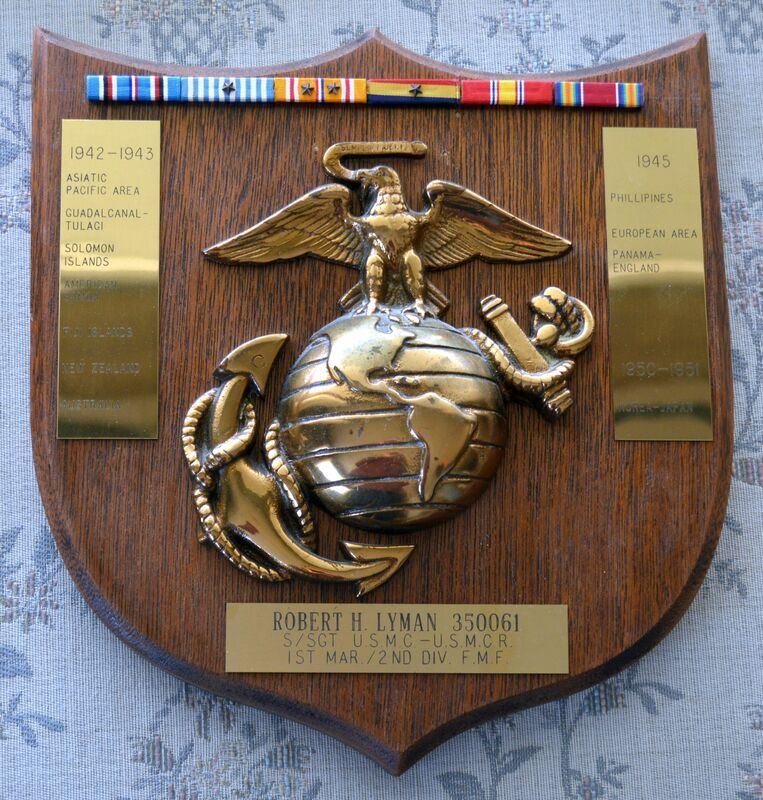 Robert was then involved in the Battle of Guadalcanal where he participated in the Battle of the Bloody Ridge. He mentioned that, at some point, he was part of a unit assigned to protect the Marine fighter squadrons flying out of Henderson Field. With a grin, he said that he particularly remembered the pilots of the Black Sheep Squadron as a group of hard working and hard playing soldiers that were drunk quite often and would sometimes empty their guns over the air field to “play” with the troops on the ground. 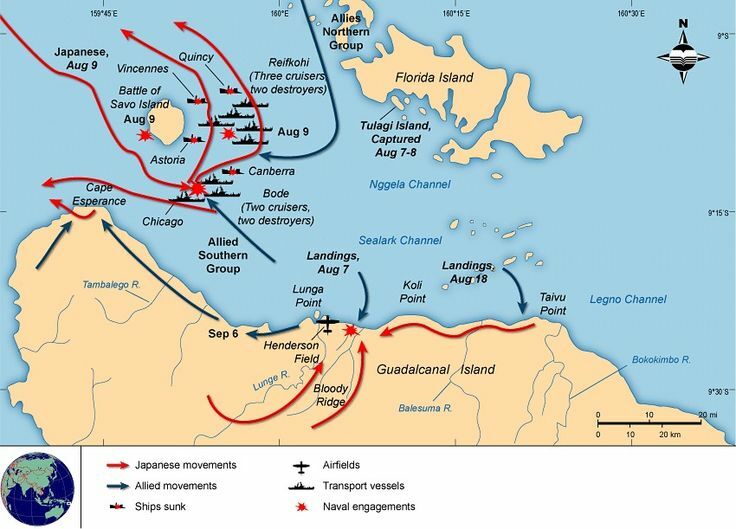 While on “The Canal”, Robert also witnessed the Battle of Savo Island. He said that he could see dead and burning bodies floating in the water and that survivors were brought back to Guadalcanal. Robert also shared a story about a Marine he served with on “The Canal”. He said this particular Marine was a really good swimmer as he was born and raised in Catalina, CA. On one patrol, they came across several dead Japanese soldiers. The Marine dove into the water to retrieve a body. After pulling the Japanese soldier out and confirming he was dead, he bashed the soldier’s jaw in and took his gold teeth. Robert said that this Marine had quite a large bag of teeth that had been taken from Japanese soldiers. He also said that, for some reason, almost all of the Japanese he saw had “gold teeth”. During his service, Robert informed me that he used the Springfield 1903 when he was part of the general infantry and the M50 Reising when he became a Buck Sergeant, but he didn’t really think the Reising was a very good weapon. 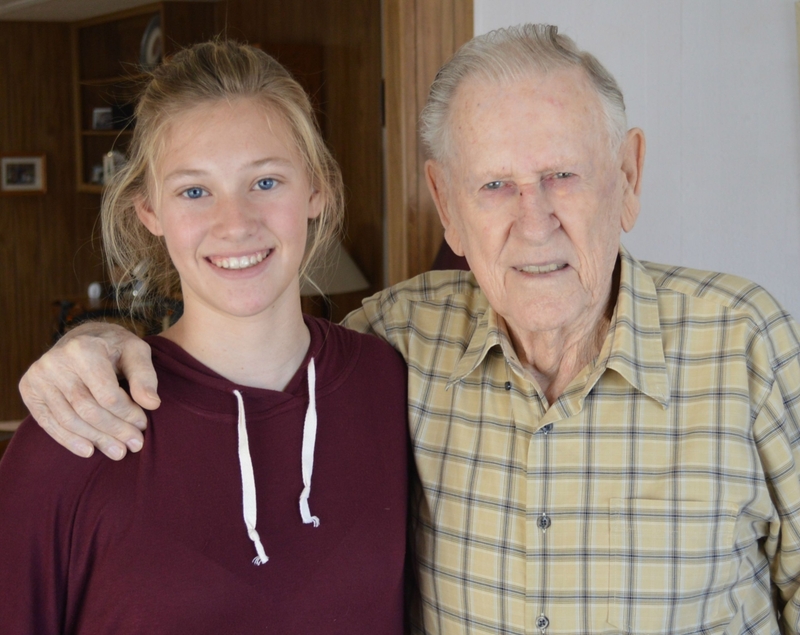 My daughter, Brooke, and I really enjoyed visiting with Robert. One of his comments that will always stay with me is “I loved the Corps.”. Plaque representing Robert’s military service from 1942 through 1951. 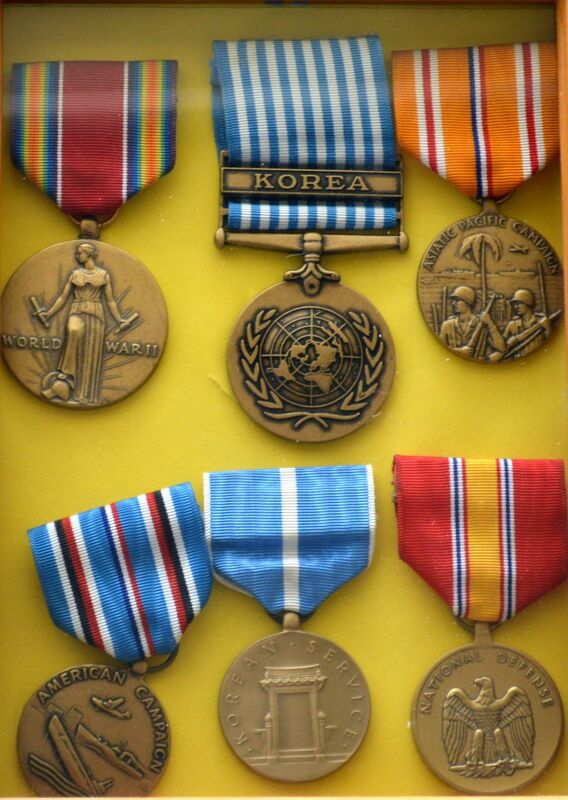 Medals and Honors: Asiatic Pacific Ribbon with Battle Star, The Unit Citation, The American Theater Medal, The WWII Victory Medal, The National Defense Medal, The Korean Theater Medal and the Presidential Unit Citation. Robert was born March 26, 1924 in Alhambra, California. He passed away on February 7, 2016. 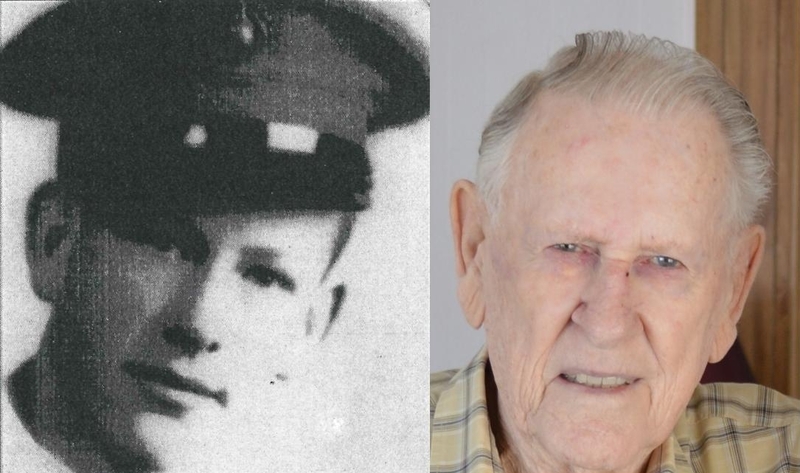 Robert H. Lyman “Bob”, USMC WWII and Korean War Veteran, passed away just shy of his 92 birthday on February 7, 2016. Born on March 26, 1924 to Homer Bailey Lyman and Blanche Lorraine MacKenzie in Alhambra, California, he had one brother Bill who predeceased him. He was a battery electrician with the Southern California Edison Company for 33 years. Bob was preceded in death by his wife, Shirley, and is survived by his four children, Judy (Dan) of Boise, Idaho; Janet (Rich) of The Villages, FL; Jeff (Sylvia) of Carlsbad; JoAnn (Bob) of LaVerne. He was the devoted grandfather of 12, great-grandfather of 28, and great-great grandfather to 2. A celebration of life will be held on Saturday, February 13, at 2pm at the Rancho Carlsbad Estates Clubhouse, 5200 El Camino Real, Carlsbad. Burial will be private at Fort Rosecrans National Cemetery at a later date. In lieu of flowers, donations may be made to the Wounded Marine Fund, thewoundedmarinefund.com. 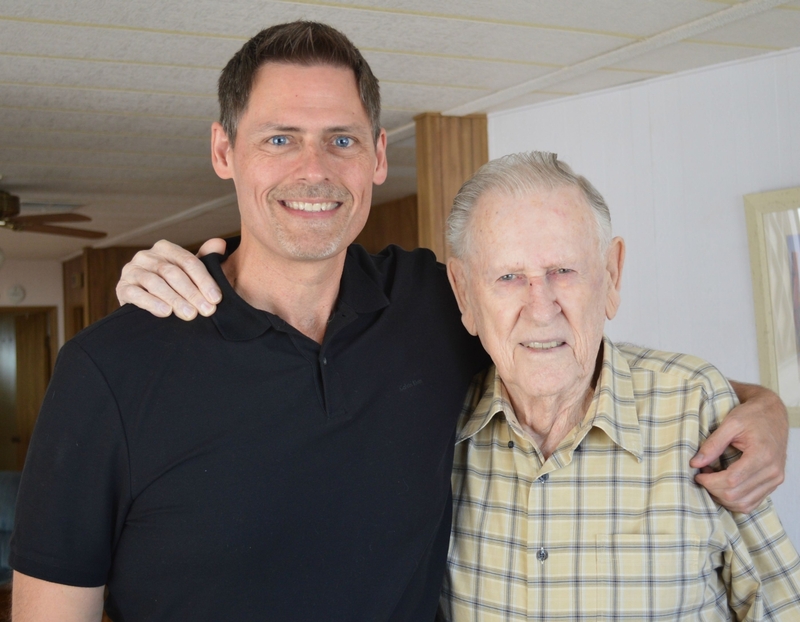 Our Dad knew no strangers, loved life, but his greatest joy of all was his family. Semper Fi!